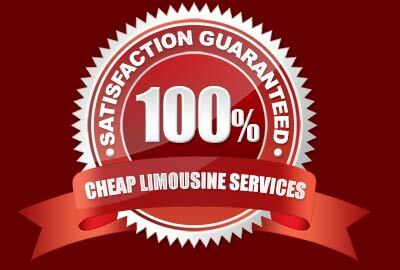 Make your parties and celebrations remarkable with the most reliable limo rentals company across the Waterloo. Distinctive features of our services will definitely meet the high standards and expectations of the clients. A beautiful collection of giant party buses available in our fleet will allow the party lovers to stand, dance and enjoy every bit of their celebration. We cater a variety of events including birthday parties, bachelorette or wedding parties, corporate meetings and reunions. Our well trained and experienced staff also includes professional event planners, who can personalize the whole set up according to the client’s desire. Immensely comfortable seating arrangement, surround sound stereo, multiple LCD’s, mood lights, custom rims, marble floors and many other exciting perks are offered to the clients to let them have the grooviest time possible. With the 25 to 55 passenger party buses, you can experience an everlasting fun ride across all popular spots across the city. All sorts of Party Bus options are accommodated in different rates and packages. We have got the expertise and resources to deliver the finest quality of party bus services in Waterloo. We believe that our clients only deserve the best, thus the staff attempts to provide executive service that features both elegance and comfort. An assorted luxurious limousine fleet including Hummer, SUV, Super Stretch limo, Town car and limo party buses backed by talented chauffeurs ensure that the clients arrive at their desired destination with due style and efficiency. We have built strong reputation in this industry by providing matchless party bus rental facilities and various packages tailored to meet the needs of a diverse clientele. The option of quick online quotations is also open for the valued clients to make the whole selection process convenient and seamless. We are open for reservations. So whether you need to have a grandeur wedding party bus service or need to rent out a chic and voguish party bus to have night out with friends in Waterloo, contact us today to get your celebrations dazzled with much glamour and oomph.